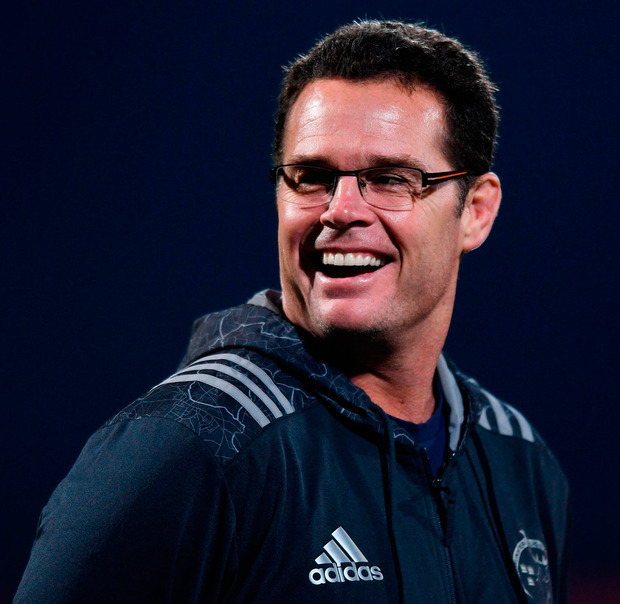 Rassie Erasmus has been named as the new South Africa coach. The 45-year-old former director of rugby at Munster, who played in 36 Tests for the Springboks, succeeds Allister Coetzee and will combine coaching duties with his role as SA Rugby's director of rugby. Erasmus will head up the Springboks' management team until the end of the 2023 Rugby World Cup. "The Springbok team is our flagship brand, and the on-field performances have a direct impact on the business of SA Rugby," chief executive Jurie Roux told the organisation's website. "Following a very detailed review process of the 2017 season, I believe that we have managed to assemble a strong and experienced Springbok coaching and management staff. "We are looking forward to see improved performances this season." Erasmus' first Test at the helm will be against Wales in Washington DC on June 2 and that will be followed by a three-Test home series against England. "It is a huge task to coach the Springboks, and I am very privileged," Erasmus said. "I really believe we have the players and the rugby IP (intellectual property) to turn things around and to mount a serious challenge at next year's Rugby World Cup. "We have 18 Tests and just under 600 days until Japan 2019, and although a lot of planning has already gone into our Rugby World Cup preparation, it is very important that we prepare thoroughly for the matches against Wales and England in June." Coetzee was dismissed last month following a run of poor results.